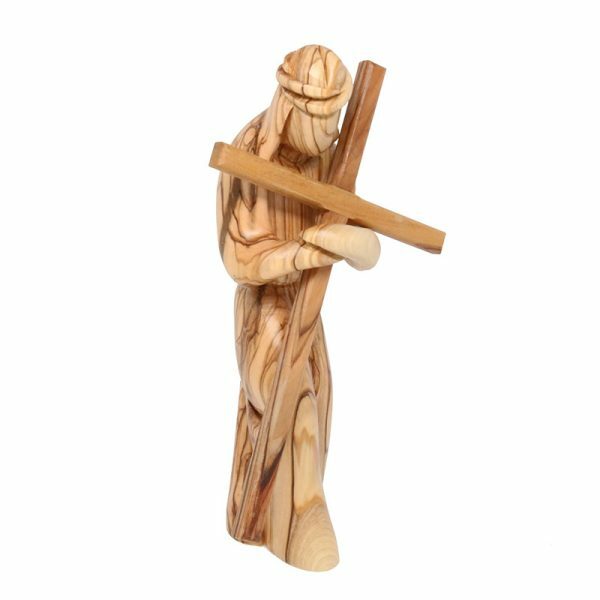 This sculpture of Jesus carrying the cross is made in Bethlehem of locally sourced olive wood. It symbolizes the Easter Story and the 14 steps to the cross through the Via Dolorosa to Golgatha. Note: Due to the nature of olive wood and the individuality of the artisans and their processes, the product may differ slightly from the picture posted.